Ever wondered why women’s facial features are more delicate than the rough, clunky contours of our mugs? 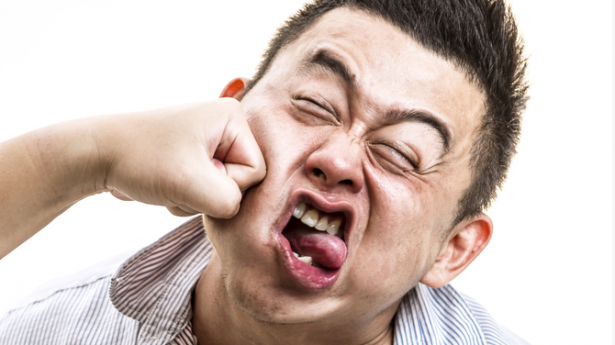 Well, add this to the short list of things men evolved to do well: we’re pretty good at getting punched in the face. And surviving the damage. Key detail, that. This news comes via a study in Biological Reviews, and we really ought to note that it’s a new hypothesis to explain why the bones in male faces are thicker than female ones—nothing’s definite yet. Still, it’s interesting. For many years, the extra strength in facial bones of our ancestors (specifically, australopiths) was seen as an adaptation to eating tough things like nuts, seeds, and grasses. However, recent examinations of australopiths’ teeth has cast doubt on that theory—they mostly ate fruit. In support of their theory, researchers collected data from modern hospitals showing the severity of injuries to the face. Jaws, cheeks, nose, and eye structures sustain the most injuries—and these are exactly the structures that tend to be brawnier in men than in women. Fortunately, we fight considerably less than our australopith ancestors—which is reflected in the fact that modern human bones are finer than australopiths’. Besides, we’ve also evolved better ways to solve our problems. Like nuisance lawsuits.